to look for what was going on. 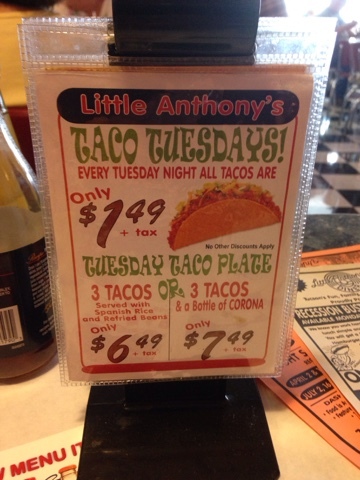 I saw a fish fry ad at a place called Little Anthony's Diner for under $8.00. 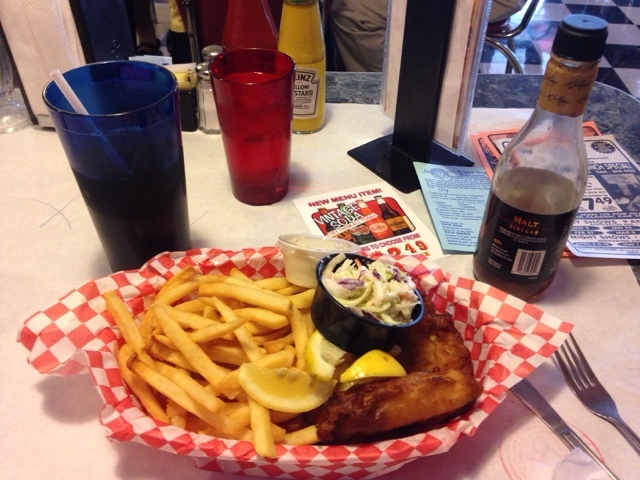 You get a drink, 3 pieces of cod, French fries, cole slaw. Such a deal. I plugged in the address into google maps and I was on my way. I was seated promptly and water was immediately delivered with a request to get my choice of drink. They have milkshakes if you desire. My drink came and my order went in to the cook. 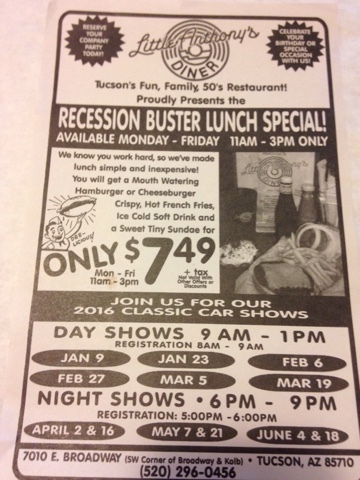 I noticed that they have lunch specials every day. 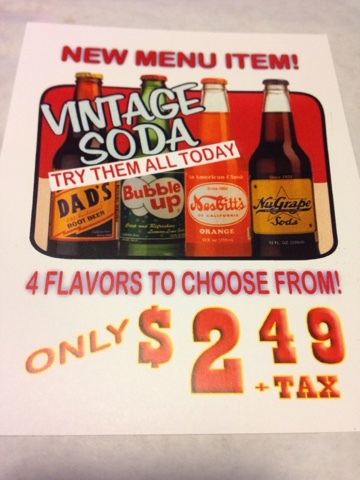 They sell vintage soda but I stick to my unsweetened iced tea. My lunch arrived promptly and I ate it all that I wouldn't need dinner later. Of course it was good and I was going to buy fish to cook so my meal out this week satisfied my desire for fish. I was asked about I team for desert but I had to pass. Hmm. Taco Tuesday. Now that may be an idea for another visit. 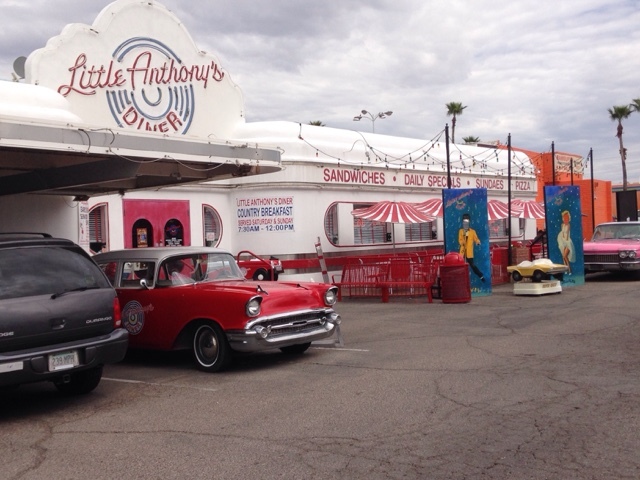 Little Anthony's is tucked in the back of a small southwest theme theater. If you are in the area. It's a nice stop at the right price for a good meal. The service was excellent, which is always important to me.